When I started the 52 weeks of creative exposure this year, I also started a group on Facebook for everyone who wanted to join my friends and me in this challenge. A lot of readers and friends asked me to continue with tutorial on food photography, similar to last year, when I did the 365 day challenge ( an image a day), after a bit of brain storming, a lot of you asked me to cover composition. It took me a while to think and work on the material. To me composition is very personal and somewhat comes naturally. It might be my background in art, I grew up in an artistic household; my mother is a painter, every summer as far as I can remember we spent time drawing sketching, learning about color, composition, light and strokes. Even though my mother did not teach any theory about art, we learnt as we painted. So for weeks together, I kept thinking consciously about composition as I photographed my image. I though this could be great opportunity for me to learn the theory behind the practice. There are certain rules of composition that lead the eye to the subject. It is a helpful tool to direct the eye to the hero of the shot. I recommend some coffee, pairs well with posts like this one. Divide the image into thirds, place the object of interest on or near the intersection of the lines ( shown by a red dot). 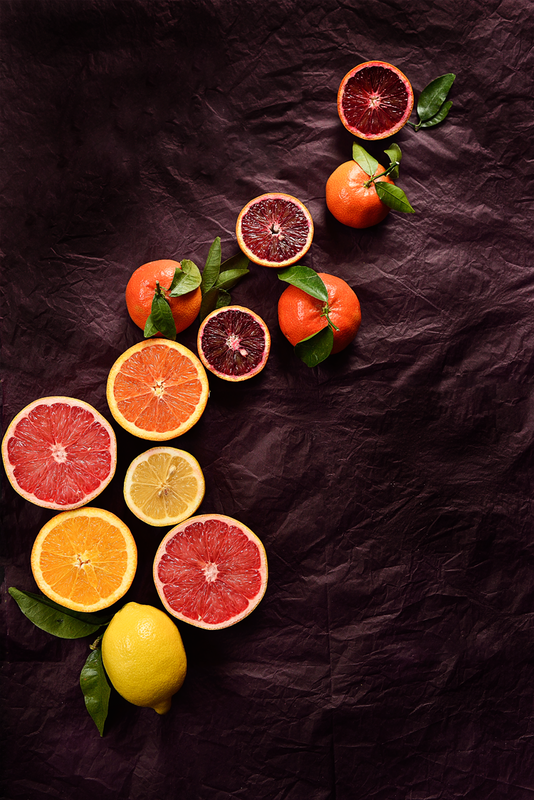 In the image below the main object (citrus fruit) is around the intersection of the thirds line. The thirds lines are only a guide line to keep in mind while framing a composition. Golden section is used by artist for centuries, it decides the image into 13 section and intersects in the 8th section both horizontal and vertical. The point of intersection or around is where your eyes are drawn as seen in the image below. The object of interest are all around that intersection. As seen in the image below. There should be only one hero and the image should not have multiple objects demanding equal attention. The viewer’s eye will know where to rest as all the elements will scream for attention. Make one object the dominant hero and other in the supporting role, the image will look more balanced. In the image below there are multiple objects screaming for attention, it is not as appealing as the first one in this post. Having said that, this is not a rule cast in gold and a lot of people may love this kind of multiple focal points. Follow your creative calling. A good way of adding balance is to add an echo of the main object, in image below I have added a small orange to echo the big grouping. Pairing and Odd numbers, creates an interesting composition, unless you want to group an image to portray a story : example : dinner for two or a combination dish like rice and curry. You eyes love to pair objects, odd number of objects add movement to the composition. In the image below I have added both pairing and odd image to tell the story of grouping. Lines that guide the viewers eyes are called leading lines and also make strong diagonals. They add movement to the image. The first image in this post, the second (citrus alchemy) and the one below all create an interesting leading line. Shapes, create lots of movement, try and form shapes with props. It creates interesting elements in the image and your eyes subconsciously love to form shapes and have movement. 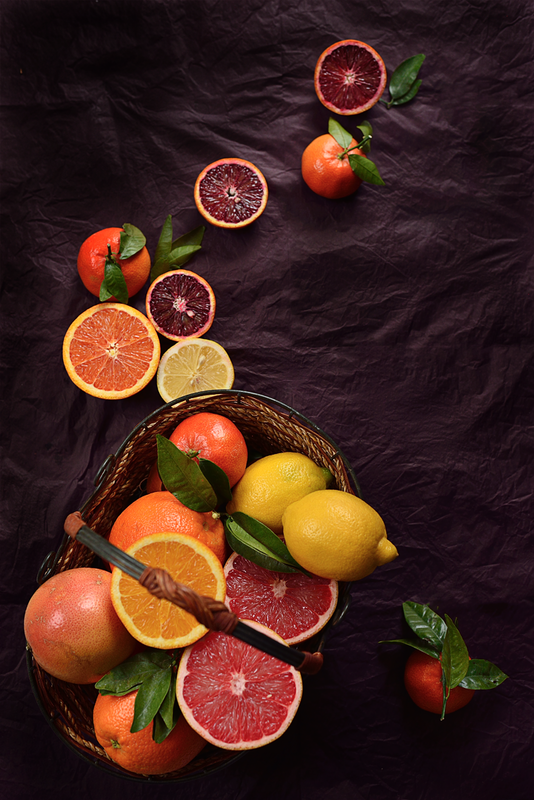 With citrus I avoided a circular shape but added some triangles to create interest. More important than any theory move things around, think out of the box. 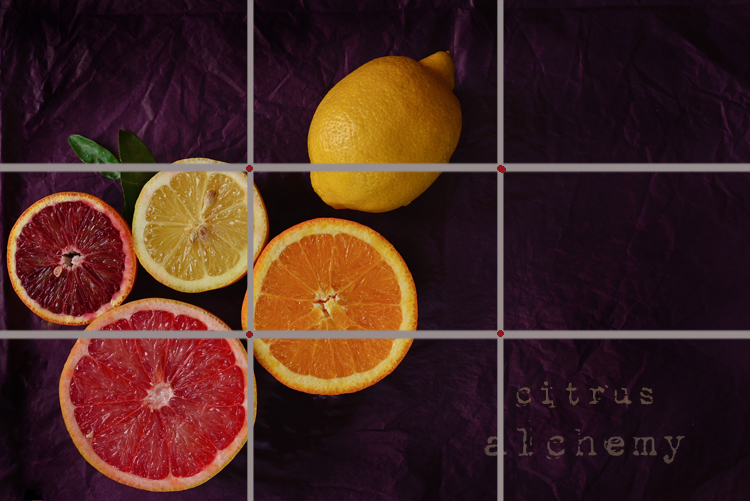 I went absolutely wild with my citrus and created over 20 compositions, some of them in the collage below. In the first second and almost all the images( in this post) you will see a lot of negative space. Negative space is the space that is empty and does not have any element. 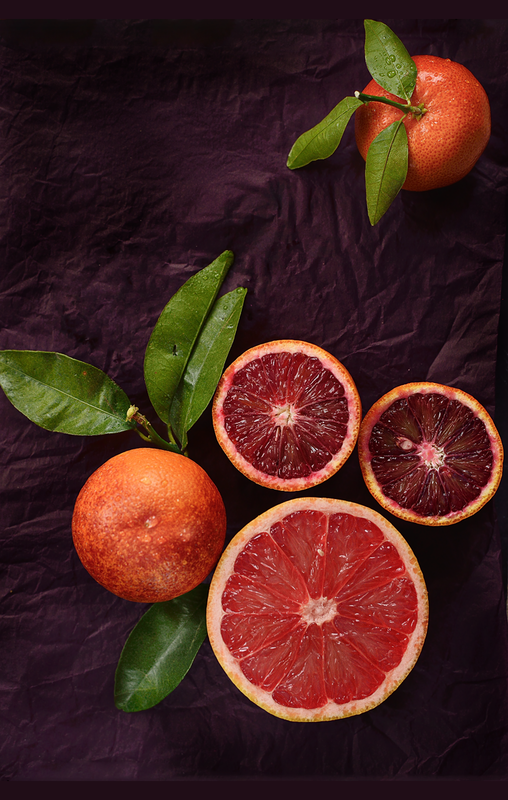 It adds artistic expression and curiosity to an image, you might want a huge slice of cake at your face ( close up with no negative space) but if you are doing an image to show different fruits or a dessert setting not one slice, a bit of negative space goes a long way and I call it creative breathing room. It’s your call. Photography is a two dimensional view in which we are trying to create a three dimensional perception. Use color, texture, height, placement, framing, and shapes to create depth. If you are struggling with balance, these rules really help. If you are a free soul, break these rules and follow your eye. I have many friends, Deeba have to take your name here…for them composition and styling is natural, for a lot of us we need to work on acquiring it. There is no one path that fits all. Whatever the journey, the destination should be an image were the eye wants to rest and not move : mesmerized. Phew !! that was a looong post and did take me some effort, hope it is of use to you guys, do leave me a comment and let me know if I missed something. Thanks!! Wonderful post Simi.. U beautifully showed us how to excel even without any props..
Lovely post simi!!! A big thank you!! Oh wow Simi, you are truly talented. I never knew there were so much that goes into composition. Thank you very much Simi, Enjoyed reading your post accompanied with some beautiful colorful photos. Learnt so much from your post, I can't wait to try and implement it in my composition. Thanx a lot,Simi for a wonderful post on 'composition'..am glad that I could understand the term and will definitely try to incorporate in my food pics too...Lovely pics as always too!! Wow ! Thanks for such a detailed tutorial on composition. Will spend hours reading this and try to apply them. Thank you so much for this awesome and detailed post! As always, the pictures are stunning! Can you please elaborate on the Tangents and Mergers that you mentioned towards the end of the post? How to show that the crop was an intentional one? Kavita, tangents and mergers. If you create diagonal lines with your image and the tangent line does not have a nice movement ( e.g. you place everything in a straight diagonal line), you cannot create a visual esthetic story. Similarly if you have to diagonals and merge it in the center, it will look very unappealing. 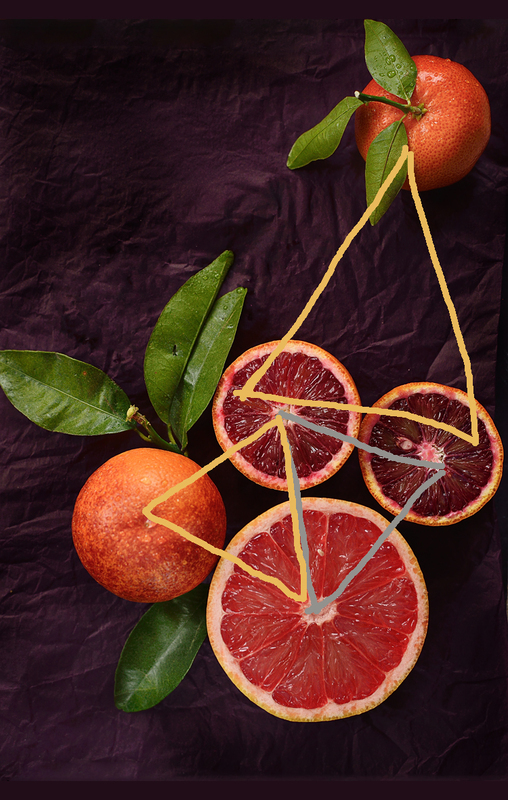 So make sure you see what lines are being formed by your props and food and do they merge ? Does the merging look artistic? Crop: If for some reason you need to crop a prop, make sure you do it by cutting it in half or showing a hint, to make it look intentional. 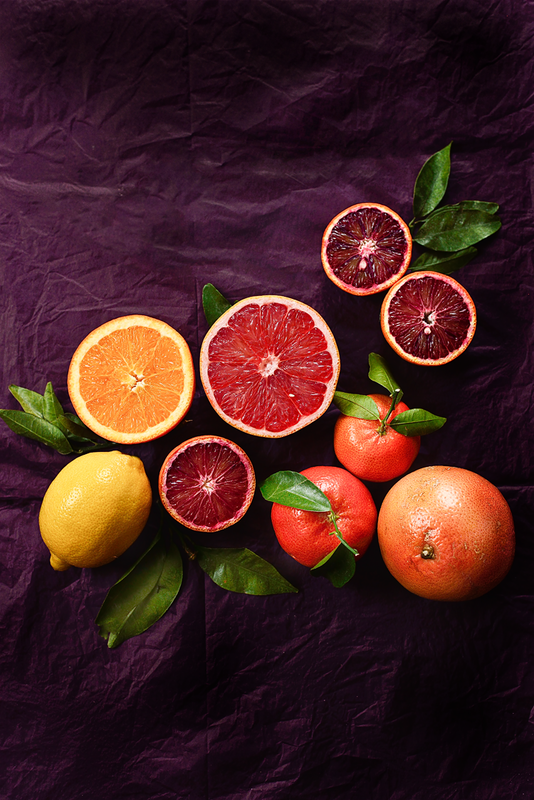 In the above case, I would crop half a grapefruit on left, making it look intentional. Hope it’s clear, let me know if you have further questions, Thanks for stopping by ! Kudos for the effort you took. Thanks for sharing all the photography tips, Simi. Those citrus fruits are so juicy and fresh. Lovely tips dear..thanks for taking so much effort to explain the basics to novice like me..really helpful. .
You know what Simi..I truly enjoy Ilayaraja music and always remember him for giving me such happiness in life..its because I totally enjoyed his music in my happy sad and many such moments..you will be also remembered in the same way for the first image on this post..the image gave my eyes immense happiness and that's called some quality time spent on myself. 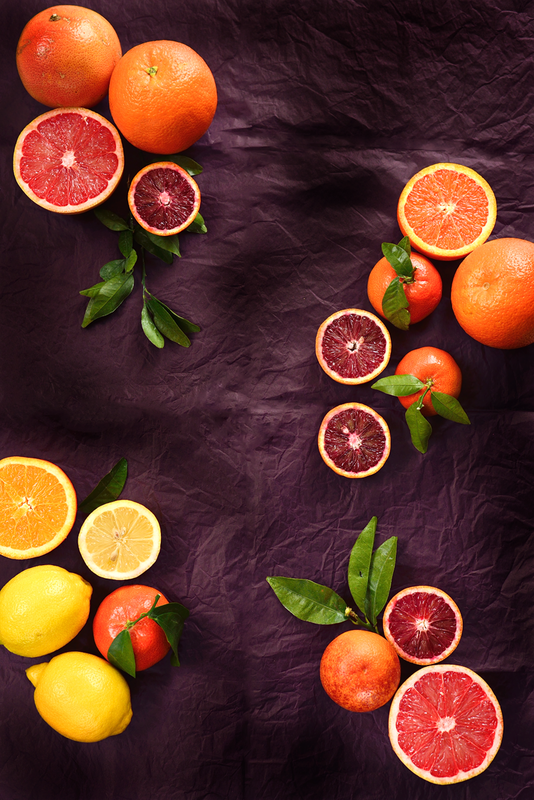 You are truly artistic and don't bother about any text on this page but the sights of these oranges truly made my day! I struggle with composition. I need to practice more. Thanks for this.